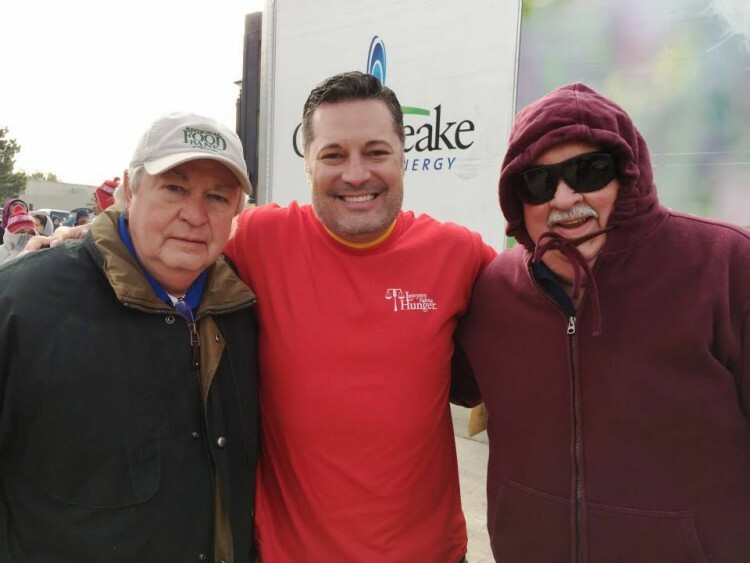 McIntyre Law’s 4th Annual Day of Kindness is part of an ongoing project in partnership with the Regional Food Bank and Lawyers Fighting Hunger wherein the McIntyre staff coordinates a turkey giveaway in the days before Thanksgiving. This year, we raised over $70,000 to purchase frozen turkeys to provide for families in need. Over 5,000 families in Oklahoma City, Norman, El Reno and Mustang received a full Thanksgiving dinner that included a turkey and all the trimmings. The concept for the Day of Kindness was borne in 2009 when some agencies that fed the hungry had their funding cut and could no longer do so at Thanksgiving time. In response, a group of lawyers formed Lawyers Fighting Hunger in order to continue to provide for the people that these agencies no longer could. The attorneys raised the necessary funds and purchased the turkeys. By 2010, Noble McIntyre and Hugh Robert of Sherwood, McCormick & Robert decided to make the event bigger than the year before, and it continues to grow.